What’s so awesome about Iowa Brewing Co.? 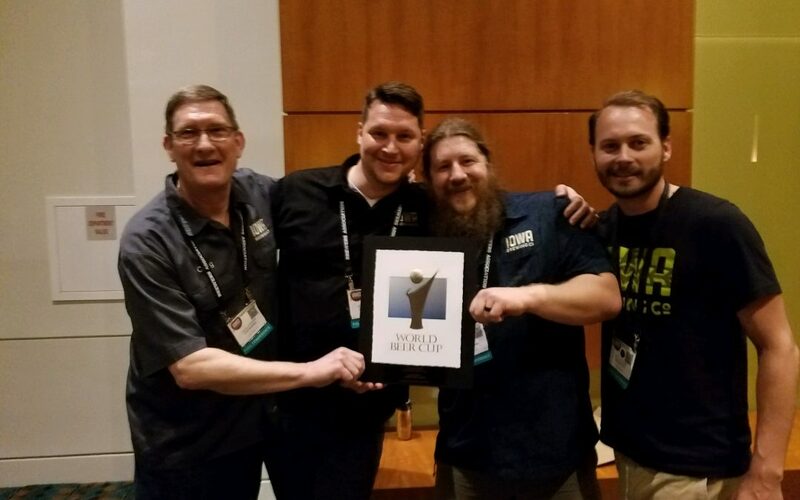 Most recently our 2018 World Beer Cup win was super awesome! Tragedy of the Common (our California Common) followed up its 2016 Great American Beer Fest medal with another Silver for Best Amber Lager. Really though, at Iowa Brewing Co. our mission is simple, to make great beer for the people of Iowa and beyond and we do that by having awesome people with awesome passion. This is the first year that we’ve had our bottles available in the Des Moines market and six-packs aside, keep an eye out for our monthly small batch bomber releases. That said, this summer is all about the New England Logger, a beer with the soft juiciness of a NEIPA and the drinkability of a Pale Lager. The diversity of the beer scene is awesome. Des Moines has great breweries, great bars and it’s beautiful that Iowan beer is so lovingly embraced in our state capital. Thank you Des Moines for drinking Iowa beer, cheers!